If you love Venice like I do you are probably interested in the Acqua Alta (high water) taking place right now. The water is at record levels and is flooding San Marco Square and other spots around Venice. 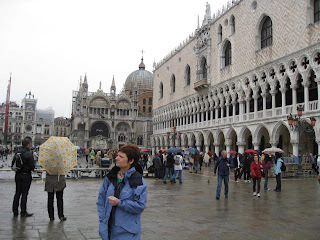 I have put some photos here from my trip to Venice last April - it was wet but the water wasn't wading deep as it is today. 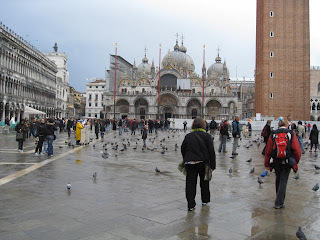 At the bottom of this blog is a link to a great slideshow of photos from Venice of the high water/acqua alta taking place right now--December 1, 2, 2008. April 2008 - walkways were up but it was not flooded. 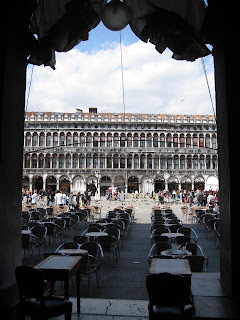 San Marco Square. Doges Palace to the right. 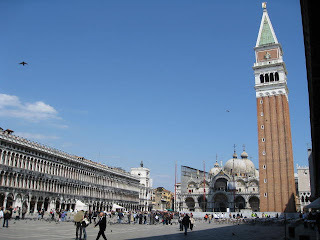 San Marco Square. 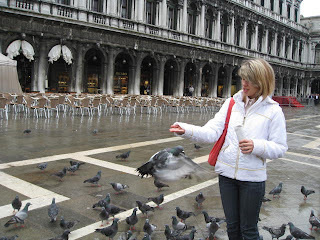 Note the restaurant behind the pigeons. In the slideshow you'll see their chairs floating! 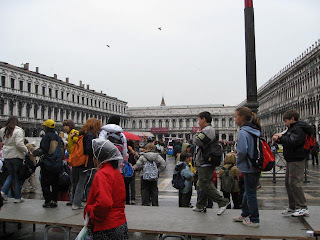 Acqua Alta in Venice slideshow. 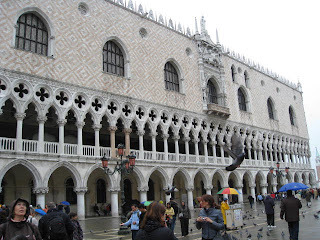 Go to this article to see a great slideshow of Venice underwater. 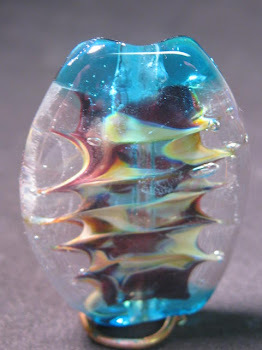 It is sad to see the treasures underwater. This slideshow has some great photos - I like the one where the gondoliers are sitting at tables in the water! Probably having their coffee!! Hopefully this doesn't happen for quite some time. 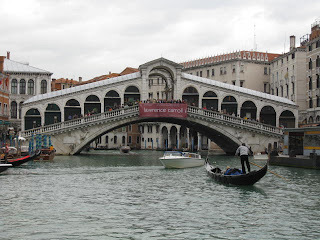 If you love Venice as much as I do you will also be hoping that they get the floodgates installed sometime soon.